I’ve always struggled with some plants in the polytunnel, specifically peppers and aubergines. I think it’s because they know my heart ❤️ is outside in the #ForestGarden 😉. 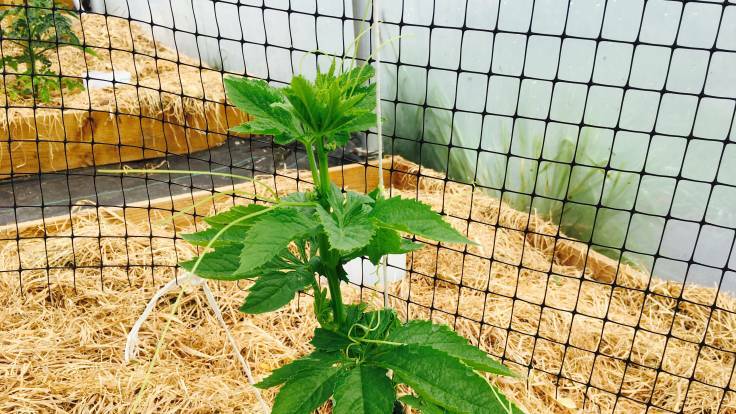 So, I’m trialling achocha in the polytunnel this year (Bolivian Giant Achocha to be precise). The seed is from The Real Seed Catalogue, and it’s quite rare, so only received a handful of seed. It’s growing fantastically, I’ve put up some sturdy plastic mesh for it to climb. We’re going to be using it as sweet pepper alternative, fried in curries and stir fries 🙂.